Con Collis is another Dubliner who came late to cycling after previous sporting careers in rugby through school and then as an international rower for University College Dublin and Irish National Team. He found cycling after an injury kept him from Ireland’s Beijing Olympic rowing team. 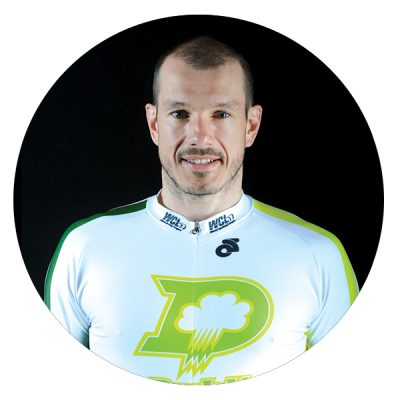 He first made a name for himself in cycling by piloting tandems for the best visually impaired cyclists on Ireland’s Paracycling Team in track and road competitions all over the world including the World Championship. He and his tandem partner won a number of National Championships and also hold 2 national records on the track, in the Kilometer and flying 200m. But this solid Irishman has really come into own in the last few seasons with solid performances on both road and track including a silver medal in last year’s individual pursuit on the track.